Thanks to local channel 41 for providing the code to link to their segment on this matter. RaytownOnline met with Chief Mace on this matter and he present documentation supporting his position that was inches thick. We are still waiting for digital copies from the Fire District to analyze, as an hour meeting was not enough given the depth of the material. I hope to provide links to the material and supporting State documents for reader when it becomes available. I have had a couple of phone calls asking if I had any video from the April 19th 2016 meeting. They both indicated that they were not able to see it live and not able to find it on the city website. The video is available at City Hall so without editorial comment, here is the link to that video. 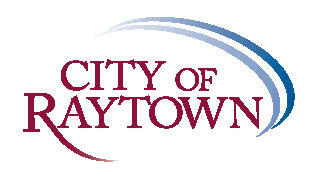 Click HERE to go to the Raytown City Hall location of the video. City of Raytown and RH Johnson Company announce three new businesses coming to Raytown. AT&T is scheduled to open at 350 Highway and Gregory in late July. Great Clips and Dominos are scheduled for an early August opening. RH Johnson Company is the owner and developer of the property. The property was formerly a mattress company but before that was a gas station. 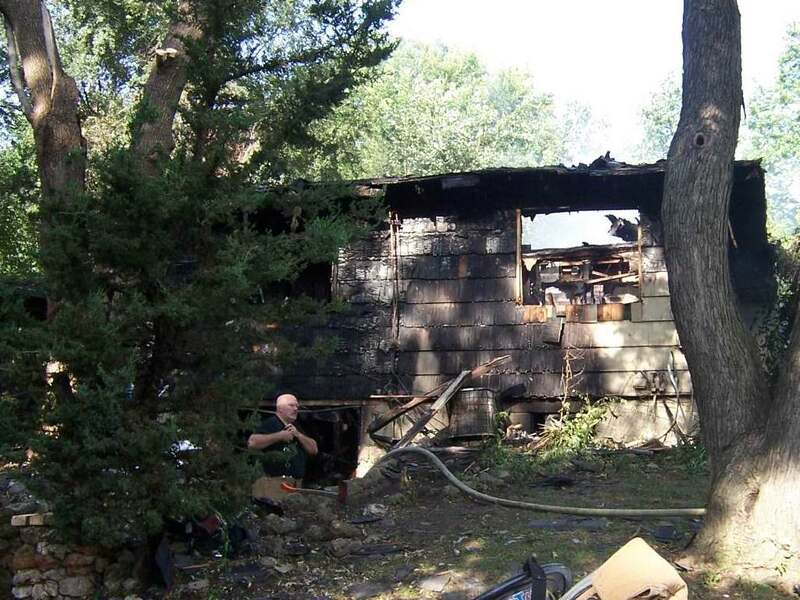 The property had to have some environmental work done because of the later owner before it could be developed. That work was completed and work to get a building for tenants was begun. Dominos has become more than a pizza restaurant. The new store design aims to put pizza front and center with a “Pizza Theater” format that will have pizza-making artists’ hand tossing dough and creating custom-made pies in front of seated guests. Their new menu also offers sandwiches, pastas, chicken wings, desserts and other appetizers. Great Clips, a Minneapolis-based haircare company is the world’s largest salon brand creating more than 80 million haircuts each year. The salons are locally owned and operated. Great Clips offers many services and are open evenings and weekends. For convenience they also offer online check in. AT&T mission is to connect people with their world. They provide products and services to make this happen. Residents can now keep up with the Raytown Board of Aldermen meetings and Raytown Planning and Zoning Commission meetings from the comfort of their homes via the Internet. The City has entered into an agreement with Swagit Productions, LLC to provide live streaming video of the meetings mentioned above. Thanks to the new technology, meetings are available live through any computer, tablet or smart phone. Residents have consistently asked for more access to live meetings. 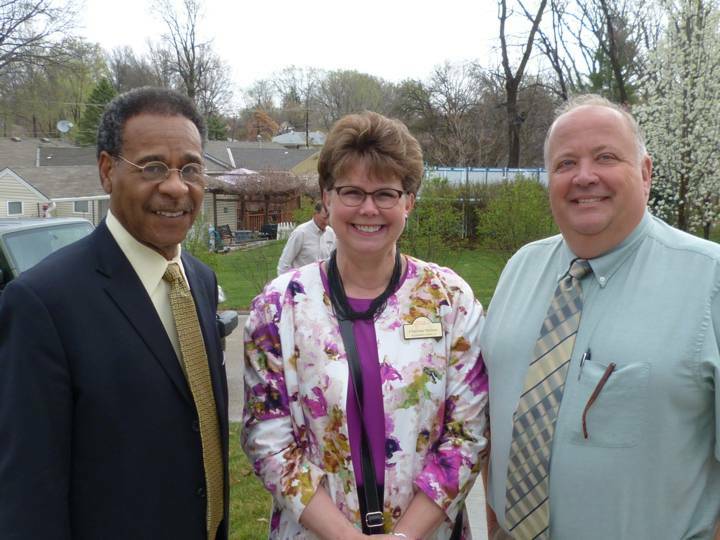 We believe streaming will help us reach more residents, business owners and others interested in Raytown. One reason we chose Swagit Productions is because they are the leading provider of hosted audio/video streaming services for many other cities and government agencies. Swagit’s Extensible Automated Streaming Engine (EASE) solution is designed to provide the City with a full service streaming media framework that reduces the need for extra staff. Meetings will run live on the City’s website, www.raytown.mo.us as well as continue to run on the City’s Cable Access Channel 7 from Comcast. The June 2, 2015 Board meeting was filmed as a test run and can be currently viewed on the City’s website. Board meeting videos will be archived on the City’s website, allowing residents to view previous meetings. We will consider adding other meetings and events in the future. Previously, the meetings were filmed separately from the live broadcast on Channel 7. The film disc then had to be converted by the Information Technology Department which took a couple of days and then uploaded on YouTube by the Public Affairs staff. The meetings were not available to everyone until several days after the meeting. With this service meetings are available live and then uploaded automatically onto our Website for immediate access. In the recent city election, a few of the candidates relied on the age-old political tactic of “promising a free lunch” when discussing the need for street repairs in Raytown. Most reasonable people would agree that we need safe streets that are free from potholes, and curbs and sidewalks in many of our neighborhoods. To be fair, the candidates didn’t say anything actually would be free, they just failed to mention the potential financial cost of their promises. Then again, they didn’t actually promise anything specifically, they just complained about the status quo for the most part. The target of their complaint is the use of light-weight aggregate instead of mill and overlay in street repair. Not very exciting, but please stick with me and keep reading to get the facts. Yes, mill and overlay makes a nicer surface and last 50% longer, but that process costs more than 3 times as much as aggregate. This is a simple allocation-of-resources problem. If you have $15 and 5 kids, you can buy one of them a steak and four of them go without dinner, or you can feed all five a hamburger. In the past 5 years, the city has fixed 110 lane miles of streets using a combination of the two methods. If only mill and overlay was used, that number would have been 63 lane miles. To have completed the entire 110 miles with the more expensive method, taxes would have to be raised, or other programs would have to be cut. There is no free lunch. The city spends about $830,000 a year on streets. To do all mill & overlay would cost almost a million dollars more. So the next time politicians promise steak instead of hamburger, they need to also tell us where the money will come from. At the request of RaytownOnline, the City of Raytown supplied the cost data on paving, some of which appears below. The City of Raytown maintains 331 lane miles. We use the transportation sales tax and some City revenue to pay to upkeep our streets. Over the last five (5) years the City has spent $833,600 per year for this service. These costs also include sidewalk and curb repair, striping as well as handicap ramps which is a federal law requirement under the American with Disabilities Act (ADA). We have to be in compliance with this law. To understand the numbers you need to know how the Public Works Department determines costs. A lane mile is a unit of measurement used by Public Works Departments for determining progress of maintenance programs. One lane mile is the width of one lane (12 feet) by one mile (5,280 feet). If you have a two lane street then that would be two lane miles. A turn lane also counts as a lane mile. In the last five years, we have been able to complete Light Weight Aggregate on 70 lane miles and Mill and Overlay on 40 miles, in total 110 lane miles have been treated, or 33% of all the roads in Raytown using both tools. It is prudent to use the most appropriate tool at the proper time. Using the Light Weight Aggregate treatment stretches the life of the street and allows us to keep our roads in a manageable condition. The top two candidates have been elected. This is the worst of the last three charters presented to the voters of Raytown. The previous charter was flawed with conflict and inconsistencies within it. The Charter before that attempted too many changes and was probably rejected by voters unwilling to make that great a leap into the unknown. The proposed Charter would take us from a weak Mayor to a ceremonial Mayor. The Mayors power would be to Chair the Board meeting and cut ribbons. The Parks and Recreation Director may be removed from office by a majority vote of the Board of Aldermen and shall serve at their pleasure. We would have a Parks Director with two masters, but one that can fire him. Part of the reasoning for having an independant Parks Board with money we voted to have them use for the Parks alone, was to separate it from politics. If the Aldermen can hire, fire and set the salary of the Parks Director, then there is no separation from politics. Here is a small sample of from the section on Chief of Police that runs from page 12 to page 16. What constitutes considerable knowledge and who determines if a candidate possesses that knowledge? Do they get to take a test? Does a Police Chief actually have to be able to wear every hat in the department, to oversee the department? Is there someone in the Police Department that meets these qualifications and are these qualifications tailored to insure he runs unopposed? While the City Administrator must live in the City, the Municipal Judge is not required to live in Raytown and can actually serve as a Judge for other communities. i. Must be a licensed attorney, qualified to practice law within the State of Missouri, and shall have been engaged in active practice of law in the State of Missouri for at least three (3) years immediately preceding election. ii. Need not reside within the City. iii. Must be a resident of the State of Missouri and have resided in the State for one (1) year immediately preceding election. iv. May serve as Municipal Judge for any other municipality. The opposition to the Charter group has filed with the Jackson County Election Board under the name Committee for Professional Government. The named treasurer is Shirley Wittman. Under itemized expenditures is $891.68 for yard signs. Contributions names one donor giving $500 and $799 in donations of under $100. The total comes to $1299.00. Click HERE to download a PDF of the filed document. The Charter is getting support in the form of Signs and post cards from a group called “Raytown Community Alliance.” Inquires to the Jackson County Election Board resulted in a referral to the Missouri Ethics Commission. The Commission website did yield some information. The bottom line is that it does not matter if a group can legally hide where their money comes from, if they hide it, they are not to be trusted. They are like a politician coming to your door wearing a ski mask. 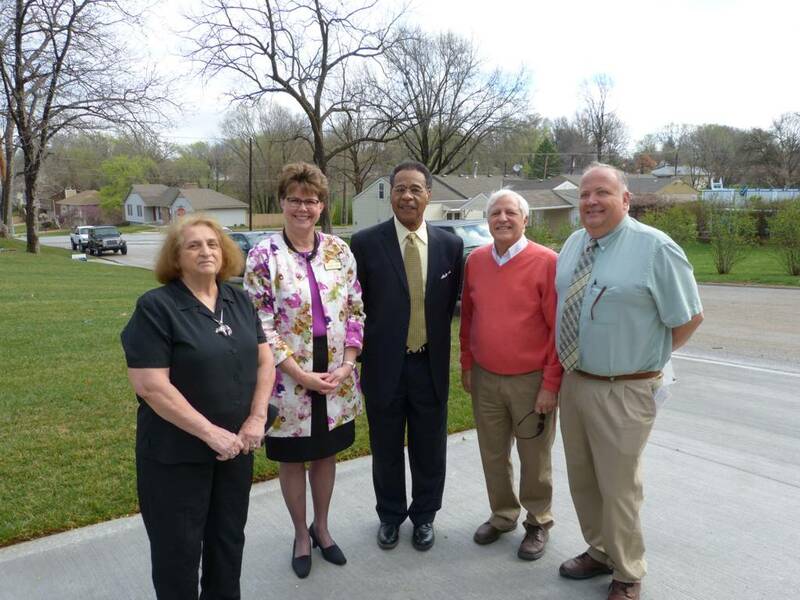 Congressman Cleaver was present for the ribbon cutting and open house for two new homes in Raytown. The land previously contained two lots that the City had considered blighted. 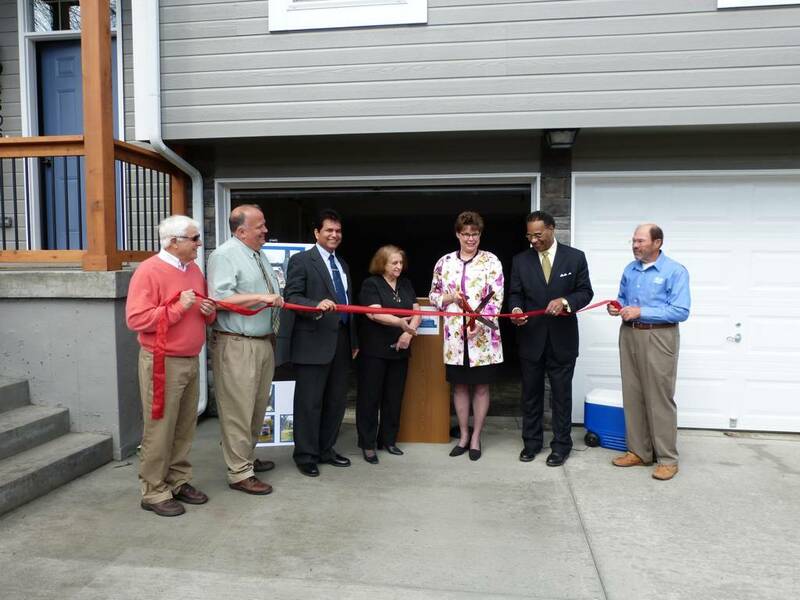 The new homes were constructed by Builders Development Corporation (BDC) and funding was provided through a Neighborhood Stabilization Program 3 (NSP#) grant the City of Raytown received from the U.S. Department of Housing and Urban Development. There are no local funds required by the City to participate in the program. 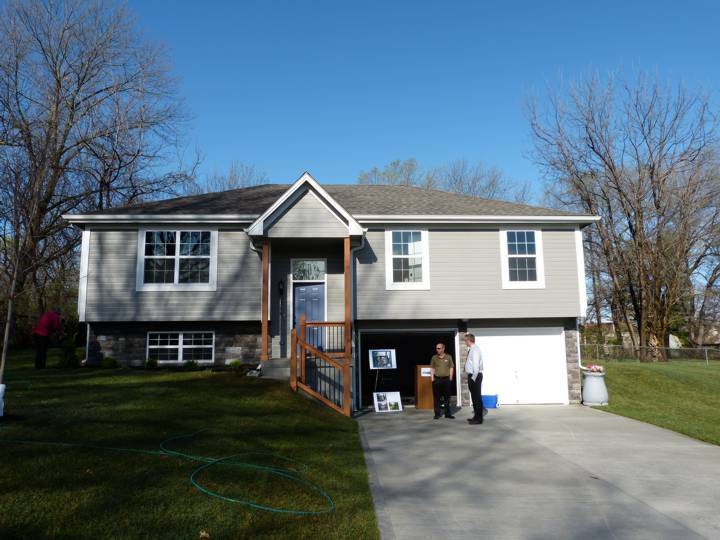 Using the NSP grant funding Builders Development Corporation purchases vacant and foreclosed properties to renovate or reconstruct on the properties and then sells the homes to qualified families. The program is part of the American Recover and Reinvestment Act also known as the Recovery Act was enacted to create jobs and promote invest and consumer spending during the recession. The monies made go back into the program to purchase more properties to further stimulate growth in the City and revitalization of a neighborhood. The BDC is also in the process of renovating a home that had been abandoned at 85th & Elm and is currently identifying other properties to acquire/reconstruct in Raytown. The proposed City Charter has several policy issues that could become problematic for the city. particularly in the working relationships between the Mayor, Board of Aldermen and the City Administrator, Gary Markenson, former executive director of the Missouri Municipal League and now a consultant to cities. said yesterday (Tuesday, March 3 1). At the Charter Commission’s request, Markenson met with the commissioners early on as they sought advice on charter preparation. After the draft was printed, Commission Chairman Sieve Guenther provided Markenson a copy of the charter and asked him to review it and provide an endorsement. Markenson said he could not endorse it and pointed out to Guenther several key problems. The Charter has essentially gutted the position of Mayor, stripping the office of all administrative duties and leaving the mayor to handle ceremonial duties, Markenson noted. It also presents a wall between the Mayor and the City Administrator, placing more power with the Board of Aldermen. Markenson pointed out several other faults. but praised the Charter Commissioners for their diligence in preparing the document. “They worked really hard,” he said. That concludes the Raytown Times article. Below is video of Markenson’s presentation at the second Charter Commission meeting. The race for Mayor of Raytown is turning out to be the biggest in terms of cash contributions ever. Alderman Ertz has raised a respectable $5,533.33 and given the amount of time left from that filling to election day, should hit the normal well financed range of $6,000 to $8,000. Retired police Sergeant McDonough has raised a whopping $16,260.00 and has already set a new record for contributions. Analysis of the named cash contributor based on their stated address shows that Ertz got 81.48% of his contributions from Raytown and the average contribution level was $270, McDonough got 55.48% of his contributions from Raytown and his average donation was $630.83. This is an incomplete picture as a large portion of McDonough’s contributions were in-kind donations and a large portion of Ertz’s donations were raised at fundraising events where small donations to not have to be itemized. Click HERE to download a pdf scan of the Ertz filings with the Ethics Commission that this article is based on and click HERE to download the McDonough filings. At first glance, the long beard of Thomas Estlund may make you take a second glance. But after just a few words, you find that the man behind this beard is a fatherly-figure, wise beyond his years. Thomas Estlund is running for his first term on the Board of Education for Raytown Schools. 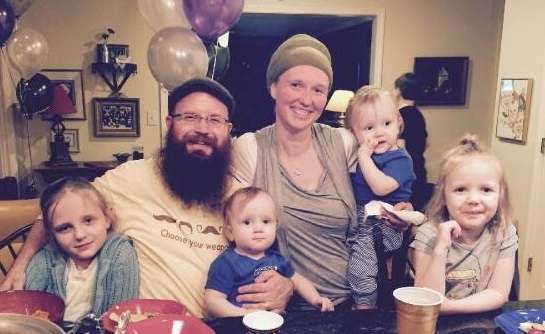 Estlund and wife, Bibi, have chosen to make Raytown their permanent home. They have 4 small children that will attend Raytown Schools, so Estlund has a vested interest in improving the educational experience of all Raytown students. Estlund has been an upper elementary school teacher in the Greater Kansas City area since graduating from Truman State University in Kirksville with a Bachelors in English, and his Master’s in Education. 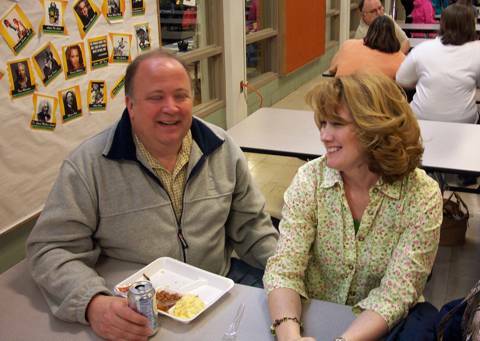 Estlund’s experience in education includes being named Team Leader and Mentor Teacher, as well as speaking at state and national conferences. Estlund’s first priority in office would be digging into district requirements regarding preparation for tests. He would like to evaluate and then limit the amount of time dedicated to mandatory assessment preparation. His experience in the classroom has taught him that a teacher who can focus time on building relationships with students and invests in instruction has the most success engaging the students. 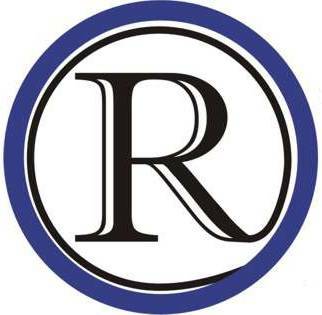 The differences in the population of Raytown demand that teachers be culturally responsive in order to address the needs of each student on an individual basis. Estlund is a lifelong learner and believes that teachers who lack cultural skills should be provided with the training needed to become the best teacher they can be. Estlund fears that, “In our nation, as a whole, schools are becoming places where students are stifled, creativity is limited and there is no time for students to try things out with the freedom to be unsuccessful their first time.” Thomas Edison is well known for believing that failure is a necessary part of learning, although he may not be the author of the following quote on the subject, it still rings true. “I have not failed. I’ve just found 10,000 ways that won’t work.” Estlund is certain that childhood is the time to learn lessons like these that shape who an individual becomes. The quintessential educator, Estlund is known for using Facebook to assign essays to his friends. He feels that “the district should also be using the very latest in technology and social media to communicate with Raytown.” You can check into Estlund’s Facebook page, Estlund for Raytown School Board, to learn more about him and his plans for the Raytown School District. The Raytown PTA held a forum for the School Board Candidates and the candidates for Mayor on Friday, March 27th at Southwood Elementary School. Here is a video of the closing remarks by both candidates for Mayor. Having made the decision not to run again for Raytown Alderman of Ward 3, I wanted to take this opportunity to express my gratitude for the support I have received the past 16 years. I have thoroughly enjoyed and been honored to represent the residents of Ward 3 and the City of Raytown. I have learned so much from Raytown residents and City staff on some many issues and topics and appreciate the time taken to answers all of my questions. I sincerely appreciate all those who have contacted me over the years with their gratitude or issues that needed resolve. My hope when I started my first term in 1999 was to make a difference. It was with that determination that I made sure that I read every piece of information that came before me, prepared for each meeting with my highlighters, sticky notes and asked the questions that would get to the core of the issue and thus having the information available for me to make for the best decision for our community. In this upcoming election, I would like to express my support for Ryan Myers who is running for Ward 3 Alderman as he grew up in Raytown and returned as a young professional to make Raytown his home. His expertise in economics and real estate will be a welcomed addition to the Board of Aldermen and his enthusiasm contagious. 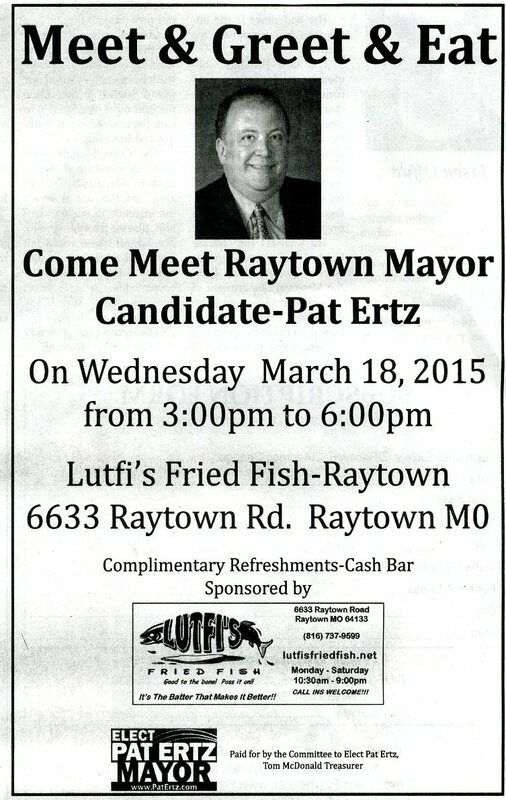 I also support Pat Ertz and his bid for Raytown Mayor. Pat has not only the expertise but also the leadership and experience which will benefit our city in the coming months and assist to continue the progress in the opportunities that are coming our way. I have seen Pat’s dedication on the Board of Aldermen since 2007 and in many organizations such as the Raytown Chamber of Commerce and Raytown Summer Lunch Ministry Board. Pat is a very devoted and involved member of our community. Lastly, I was honored to be elected to serve on the Raytown Charter Commission, as I wanted to make sure the commission followed the rules and maintained a reasonable budget. After 10 months of work, I could not sign my name to the final document as I felt that it did not ‘mirror’ the current city government and will cause extensive expenses if passed. It is not the clear, concise document I hoped would be finalized. I would ask all the voters to read it very carefully as confusion will be prevalent in any attempt to put it in reality. The City of Raytown has certainly changed over the past 16 years and I sincerely appreciated the opportunity I had to serve as a representative for our great community. I have trust in the voters of Raytown and know they will make the right decision so that we can continue the progress that has been made and continue forth in the great opportunities we have on the horizon. The Raytown Area Chamber of Commerce will co-sponsor with the League of Women Voters of Kansas City/Jackson, Clay and Platte Counties, a Mayoral Candidate Forum and a Raytown Alderman Candidate Meet and Greet. The Forum and Meet and Greet will be held at Raytown City Hall in the Council Chambers on March 31, 2015 from 6:30 to 9:00 pm. In the Meet and Greet, each alderman candidate will have five minutes to introduce him or herself and then answer this question: What would you like to achieve in a 4 year term as an Alderman for the City of Raytown? Candidates will be called up by ward and placement on the ballot. Following the presentations, the audience is invited to meet the candidates individually. The forum is free and open to the public. We encourage you to attend and take this opportunity to become an educated voter. Questions? Contact Vicki Turnbow, Raytown Area Chamber of Commerce at 816-353-8500. Jim has been at the center of the Board of Alderman during a time when the Board ended a long period of fighting and ineffective policies. During the past eight years the old First Baptist Church was town down, and we have seen remarkable economic redevelopment in downtown and 350 Highway. Bridges have been rebuilt, snow removal has become excellent, and the law suits that we experienced during the previous administrations disappeared. Represents continuity on the Board if a huge change takes place on April 7. He has worked hard to revitalize the City of Raytown by launching an, effort to bring a new brewery to Raytown, and established a committee to build a community center. Jim focuses hard on meeting the needs of his constituents in Ward 2. While many of the Alderman have put business interest first, Jim stays in touch with citizens. He knows the people want a nice restraint, a lower crime rate, a smoke free environment in public establishments, and a new community center. His leadership can make those things possible.